We all want to feel like we’re part of the cool group. It’s a feeling that starts almost as soon as we begin socializing and never quite goes away. And it’s also a feeling that you can use to build customer loyalty by creating an in-group of your very own: namely, a push notification list that shares exclusive offers. Everyone wants to be a member. Exclusivity is nothing new as a marketing concept, of course. Just look at your keyring and count up the loyalty cards you scan at drugstores and supermarkets. But what stands out about push notifications, particularly browser-based push notifications, is that they allow customers to opt into that exclusive group. In fact, that exclusivity can extend well beyond deciding to accept notifications, and into great deals for the things they buy. While there’s nothing wrong with promoting a sale across multiple channels, with push you have a rare opportunity to do something unique. One of the advantages of browser-based push is that your most loyal customers opt-in first, and since you have data on what they buy and what they like, you can use that to create segments and aim coupons and deals squarely at that segment. Let’s say, for example, you run a clothing company and you have a segment of your VIP list that loves coats of all kinds. Instead of pushing a store-wide, or even a list-wide, sale, you can push coat sales directly to them. The value, for them, is they get better deals on the things they want to buy from you. But on a subconscious level, what you’re also offering is a chance to be heard, to be catered to, to have their input considered. You’re not just calling them a very important person, you’re showing them that you believe that by finding exactly the deals they’d like most and delivering those offers directly to them. 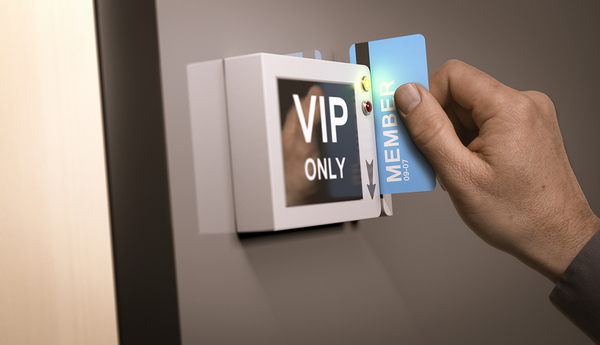 Build a VIP room, anywhere in the world. The best part is you don’t even have to announce that you’re doing this. Instead, you should look at your segments and ask yourself what they’re most interested in, and then start sharing deals you can only get via push notifications. Make sure to be clear that they can only get the deal from the push notification, lest they try to shop via another channel. Present it as a reward for opting in, or for being a great customer. This does much more than drive sales, although you can expect that to happen as your customers feel more important. It also spreads the word, increasing opt-ins and reducing opt-outs. While there’s no bulletproof way to get opt-outs down to 0%, customers often leave because they feel like they’ve been shoved into a digital paddock. But when they see custom deals, when they see messages that are personalized beyond their name, they feel, well, like a very important person. VIP deals not only reinforce that opting in is a net positive, they help cement customer loyalty and help you sell products. If you’re ready to see the power of a VIP list in action, get a free trial of Pushnami!